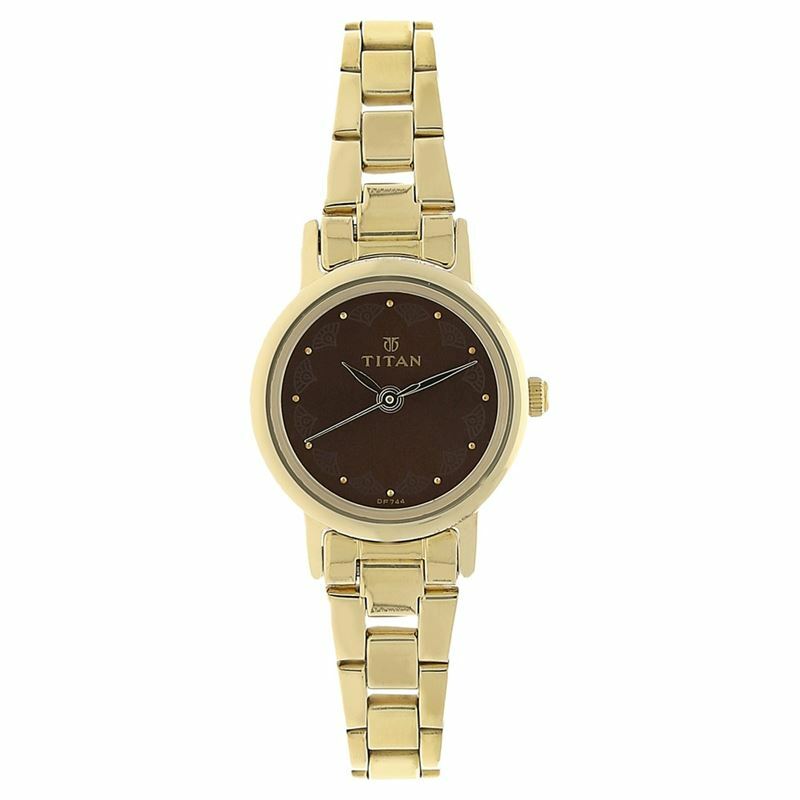 This analog watch for women features a brown, round dial, which is printed. The dial consists of plain three hands and round markings at regular intervals to make time reading easy. Made of stainless steel, its strap is gold in colour. In addition, a crown lets you adjust the time.